Here in New Hanover County, the community, elected officials and county staff cooperate to balance a high quality of life with a progressive business and economic climate. 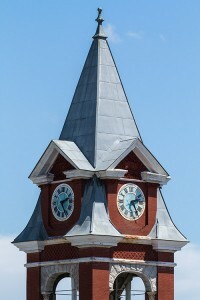 At less than 200 square miles, New Hanover County is the second smallest – geographically – of the 100 North Carolina counties; however, it is home to more than 232,000 people. New Hanover County is not just a great place in which to live or visit. New Hanover County is also a great place to do business. Tourism, film production, the service and retail sectors are the engines that power our economy. Our Mission: New Hanover County is committed to progressive public policy, superior service, courteous contact, judicious exercise of authority, and sound fiscal management to meet the needs and concerns of our citizens today and tomorrow. The government of New Hanover County is committed to ensuring that you are safe, healthy and secure; that is our promise to you. 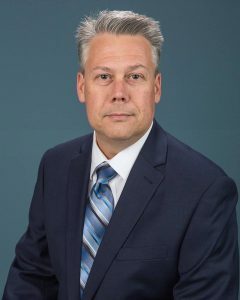 New Hanover County Manager Chris Coudriet serves as chief administrator of county government and maintains responsibility for administering all departments under the general control of the five-member Board of Commissioners. The county manager’s work includes the development of the county’s annual budget. The budget is the policy document, financial plan, and operations guide and communications device of county government. It reflects the county’s response to the needs of the community and residents’ requests for services. 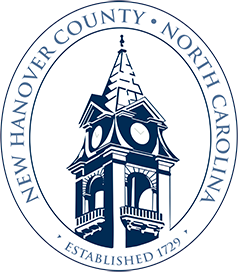 New Hanover County’s government operates on a $392 million multi-fund budget for the fiscal year that began July 1, 2018 and ends June 30, 2019, serving more than 227,000 residents. In addition, the manager and his executive leadership team are responsible for aligning the operations of the county to the adopted strategic plan and advancing the county’s mission and vision through five key focus areas: superior education and workforce, superior public health and safety, intelligent growth and economic development, strong financial performance, and effective county management. Mr. Coudriet has served as the county manager since July 2012. Prior to his appointment, he served as assistant county manager for New Hanover County for four years and as county manager in Franklin and Washington counties, N.C.
Mr. Coudriet has nearly twenty-five years of public administration experience, with more than a decade as a county manager in North Carolina. He has a Bachelor of Science Degree in Urban and Regional Planning from East Carolina University and a Master’s Degree in Public Administration from the University of North Carolina at Pembroke. He is a native of eastern North Carolina. Chris and his wife, Leigh, and two children Montgomery and Silas, reside in Wilmington. New Hanover County has received the final economic development target analysis report from Jay Garner titled Pathways to Prosperity: New Hanover County’s Plan for Jobs and Investment and it’s critical companion piece, the Competitive Realties Report. The proverbial question: What do I get for my tax dollars? It’s a fair question, and it’s one that any county government should be in position to answer without fail or hesitation. Rather than offer a response that includes a litany of things New Hanover County does for you or on your behalf every day, it’s probably easier to remember and resonates more strongly with you if I get straight to the point. New Hanover County makes you safe, healthy, and well. In fact, that’s our promise to you. No matter how you cut it, the services we invest deliver on our promise: we ensure someone answers your call if you dial 911 and you get the right resource for your emergency; we ensure the restaurants you eat at or order food from is sanitary; we ensure youth and adult recreation leagues have viable field space for organized play and activity; we ensure buildings you enter are built to a defined code for your protection; we ensure your children or adults back in school have adequate facilities to learn in; we ensure the trash we all create is disposed of appropriately; we ensure children are adopted by loving/caring parents; we ensure children and adults are vaccinated against disease; we ensure our returning veterans get access to the benefits they’ve earned; we ensure your neighbor does not infringe on your own property rights – again, New Hanover County makes you safe, healthy, and well. I look forward to sharing with you over the coming weeks our business model for delivering on our promise to you.